Crete, IL - May 29, 2017 – The Showplace Spring Classic wrapped up grand prix ring action at the new HITS Balmoral Park concluding the third week of the May series. Showplace Productions heads into the popular Spring Spectacular series beginning June 7-25th at the historic racetrack venue. The three-week competition features Derby Day, which includes the $25,000 International Hunter Derby presented by Bull Run Farm. 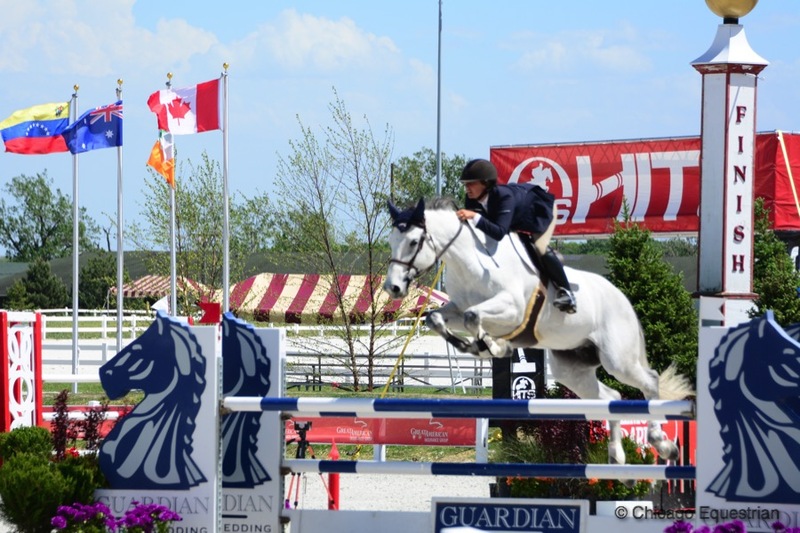 The show hosts the popular Marshall & Sterling 1.30m Jumper Classic series and the $50,000 HITS Grand Prix presented by Purina Animal Nutrition on June 10th. Riders and trainers have given the new show jumping venue a two thumbs up with renovated stabling, brand new stalls and stall mats, excellent all weather footing, paddocks and a climate controlled grandstand and VIP area. Exhibitors have enjoyed exploring the area featuring Balmoral Woods Golf Course and the quaint town of Crete with down home cooking. Riders are looking forward to some great concerts at Tinley Park this summer, only 25 minutes away, stopping at Evil Horse Brewing for a custom Micro-brew and a good horse story to end the evening. Wrapping up the spring series, Lisa Goldman and Barbara Disko’s Sovereign earned the big payout in the $35,000 HITS Grand Prix week III. 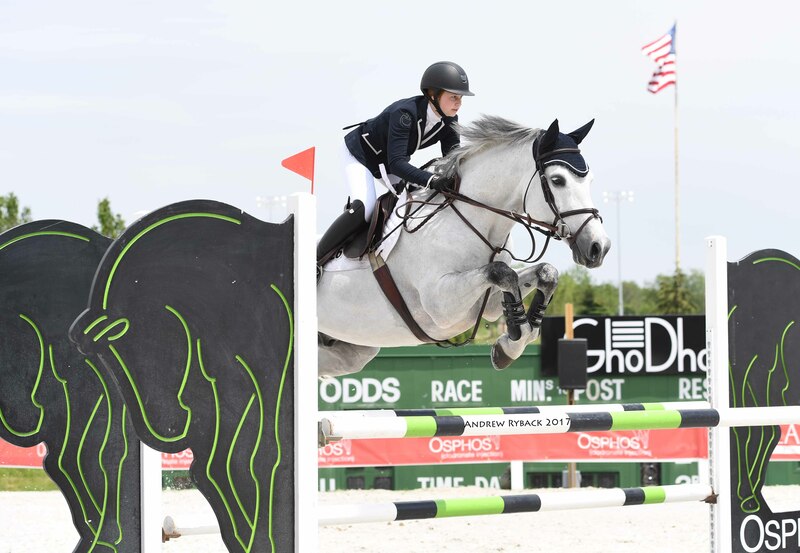 Goldman and Sovereign were the winners of the first grand prix ever held at the new show jumping venue during week I. Six riders made their way to the jump off track designed by Hector Loyola, leaving only three riders double clear. Liz Atkins of Benchmark Stables in Hampshire, Illinois, gave Goldman a run for her money ending up only one second behind at 46.911 for second place. Karen Cudmore of Heartland Farm in Omaha, Nebraska, and her trusty Southern Pride took the third place spot with the final double clear round in the class. Liz Atkins and Undine. Photo Andrew Ryback Photography. 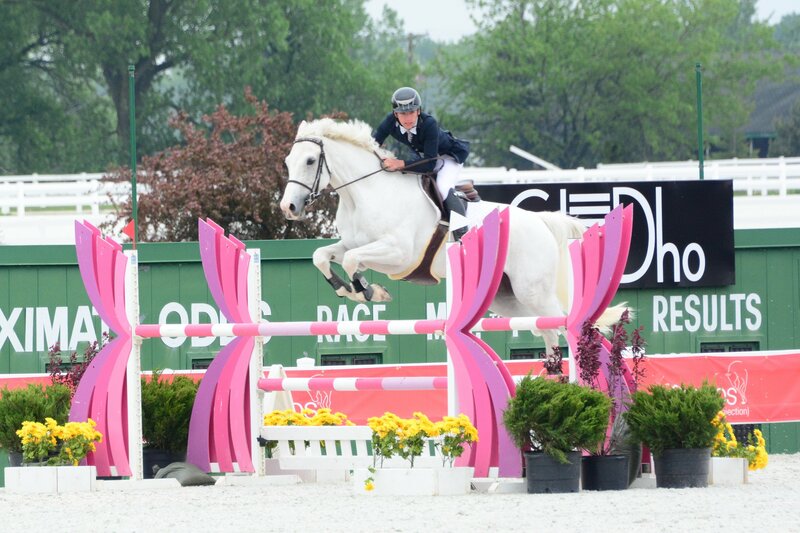 Atkins' rider, Kristin Franz, and Cypress won the coveted $10,000 M&S Jumper Classic. Showplace Productions offers a bonus for the Leading Horse and Rider and the Leading Trainer at the Showplace Fall Championships. 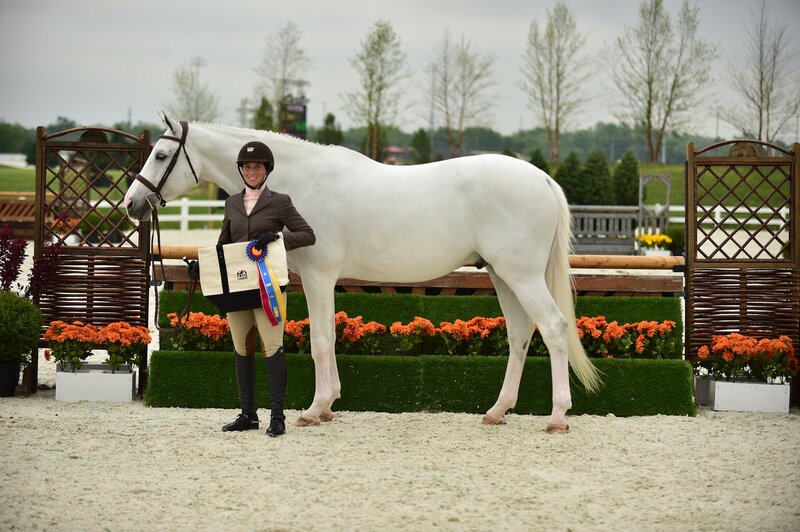 Last year, Franz and Cypress won the USHJA Child/Adult Championship for Zones 5 & 6 held at Showplace Productions' second location, Ledges Sporting Horses in Roscoe, Illinois. Lisa Goldman and Moritz W. Photo Chicago Equestrian. The $10,000 1.40m Open Jumper Prix went to Goldman and Moritz W, followed by two of Taylor Flury’s rides, For His Glory SE and Carrasca Z respectively. Goldman’s rider Kyle Perkovich took the top spot in the $2,500 GhoDho U25 Jumper Classic with his new mount, Tresor Du Perron. 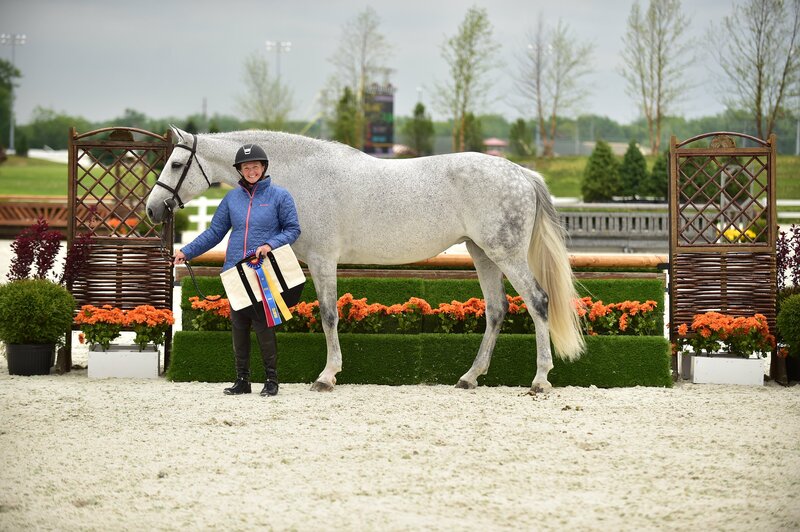 Perkovich was the winner of the M&S 1.30m Jumper series last year with Roc My World and his trainer, Mary Goldman, of Red Coat Farm, took the Leading Trainer Award. The final jumper competition on Sunday was the $10,000 1.35m Jumper Classic with Melissa Hirt's Amalia Vande Zeilhoek and Lisa Goldman galloping to the winning time. Goldman took second with Hannah Bilton's Chasinta and Brooke Cudmore walked away with third place on Igor. Donna Struve's Tapestry Farm horses topped the hunter divisions from the youngsters on up. Struve's Pica Balou and Rowan took the top two spots in the Yearlings and her Hobbs was at the head of the line up in the Two-year-old division. Rachel Kane's Point 18 took second in the section and Struve's Amelia rounded out the top three. Scott Gentry with Donna Struve's Roman Holiday were Reserve Champions in the Best Young Horse section and topped the Three-year-olds. Photo Andrew Ryback Photography. Roman Holiday, owned by Struve, took the blue ribbon in the Three-year-olds. When all the young horses lined up for the Best Young Horse, Struve again took the top place with Hobbs and her Roman Holiday was reserve. In the Green Hunter 3'6", Struve's Sabrina was champion with Josey Gentry aboard. 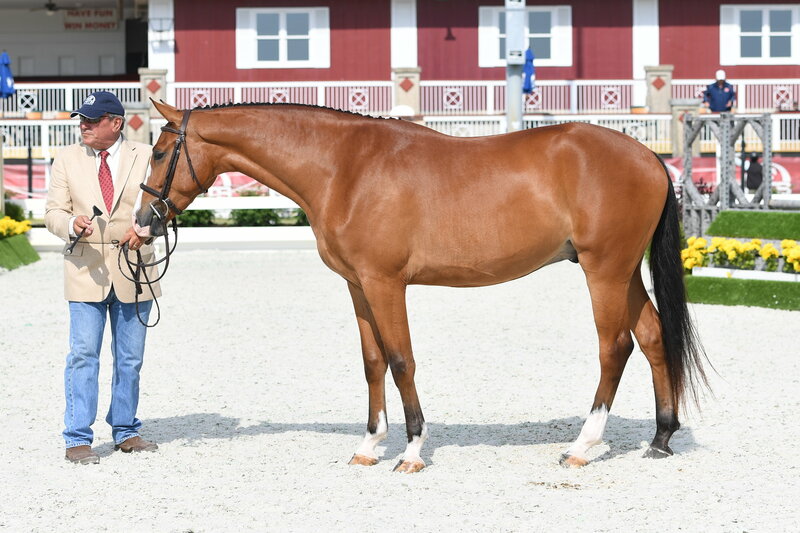 Sabrina is another young horse Struve bred and raised and has already won numerous titles with the gorgeous chestnut in hand as a young horse, including Best Young Horse at Devon. In the Performance Hunters 3'3", again, Struve's In Print with Alexis Tantimonico-Bifano took the championship. 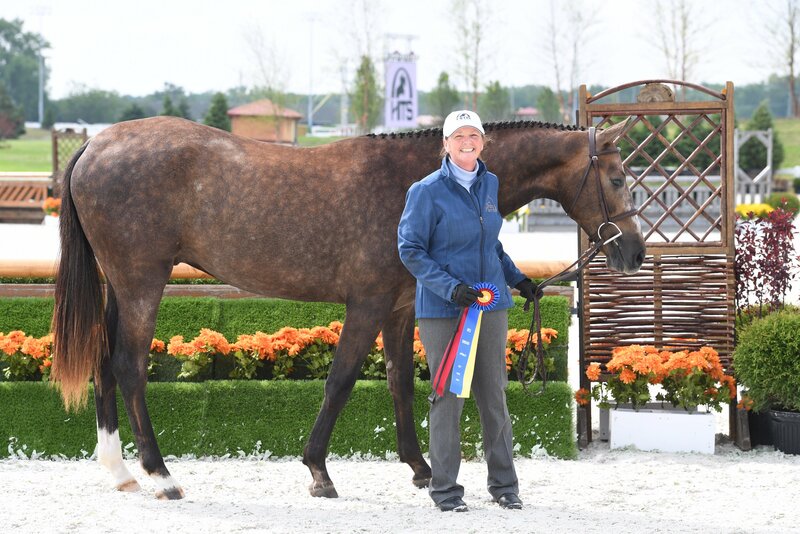 Struve and In Print won the USHJA Adult Hunter Championships in 2016 at her Ledges Sporting Horses facility in Roscoe, Illinois. Struve's Tapestry Farm has two locations, Bristol, Wisconsin and Ocala, Florida. Doug Boyd rode Mimi Rothman's At One's Word to the reserve championship in the 3'3" Performance Hunters. 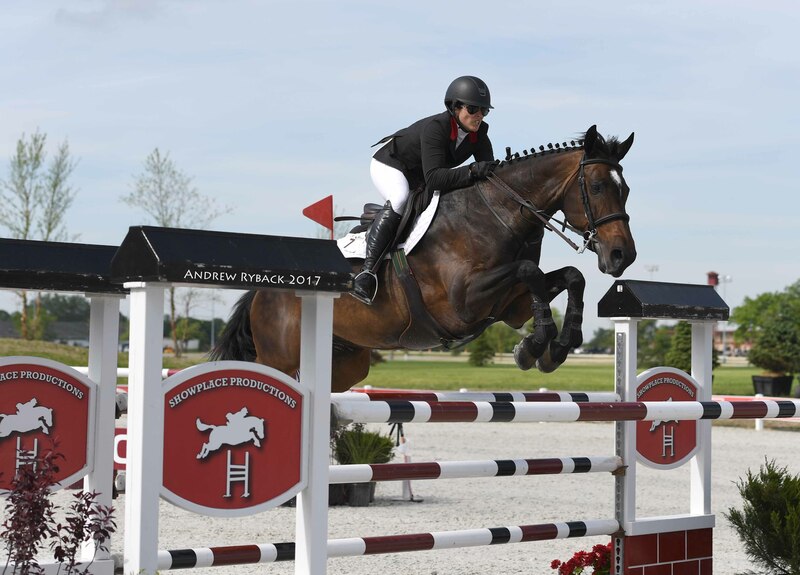 Alexis Tantimonico-Bifano and Astaire took the Performance Hunters 3'6" Championship. Photo Andrew Ryback Photography. Scott Gentry's HBG Equine rider Alexis Tantimonico-Bifano rode Astaire, owned by Jessica Ianello Brosche, to the Championship in the Performance Hunters 3'6" with Leslie Richmond's The Boyfriend taking the reserve spot. 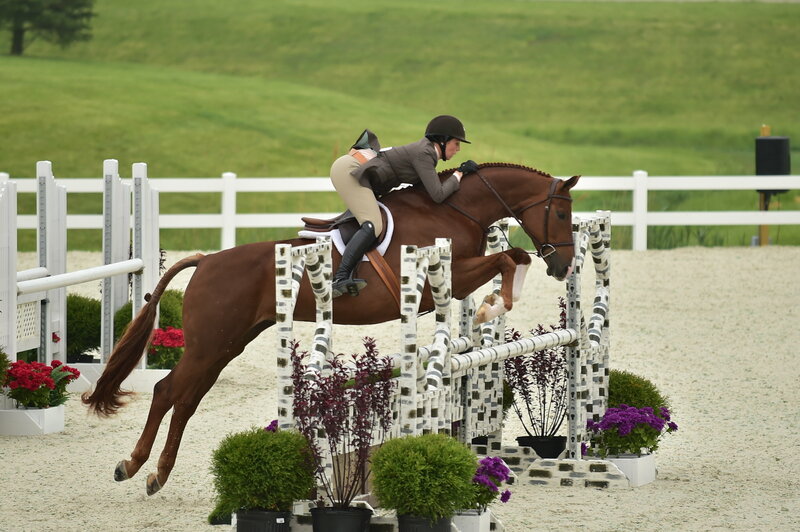 All hunter and jumper competition continues on June 7th at HITS Balmoral Park with the Showplace Spring Spectacular series. Form complete results visit www.hitsshows.com. 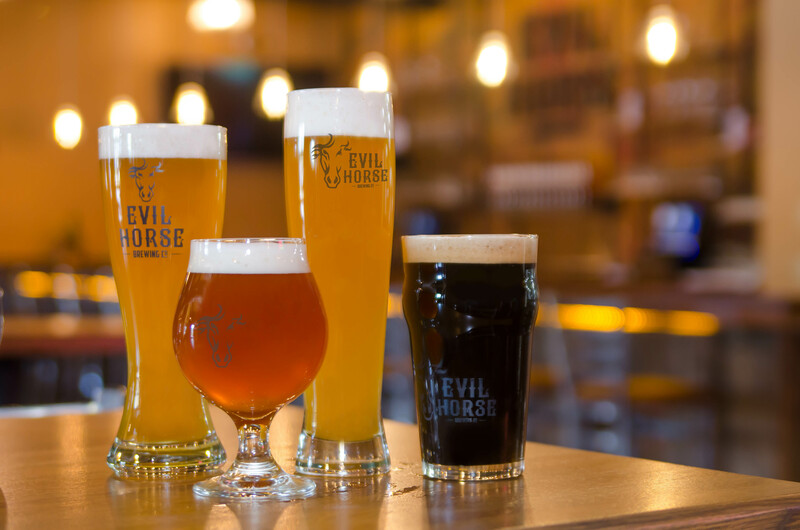 Just five minutes north of Balmoral Park in the quaint town of Crete, you’ll find a unique micro-brew experience at Evil Horse Brewing that will fit right in with your equestrian week at Balmoral Park and the new HITS horse show grounds. It’s the perfect stop after the horse show or a fun stop on your day off. Do what you want and don’t let anyone stand in your way. That was Evil Horse – the name of the undersized appaloosa mare with an over-sized desire to never be ridden. Owned by the Evil Horse Brewmaster, Steve Kamp, she refused to be conquered and riding her became a challenge that many attempted and few succeeded. For those that got bucked off, they’d all drink a beer in your honor. As Evil Horse’s legend grew, so was their desire to create their own craft beer. 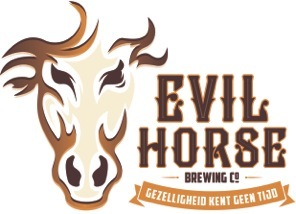 They took inspiration from that obstinate appaloosa’s attitude and opened Evil Horse Brewing Company, brewing the best beer possible, letting nothing stand in the way. Evil Horse has remained unbridled and unconquered to this day, as has their passion to bring you an exceptional craft brewery experience.